Quick Lit | April 2017 — TBR, etc. You know how some months you're all, "I can't believe it's April already?!" This is not one of those months. It feels like an absolute eternity since I wrote my last Quick Lit post, but it was indeed just a month ago! It's a busy time of year and I've packed a lot into this last month. Unfortunately, I've not packed a lot of reading into it. I also had the worst book hangover from A Little Life. But I'm getting through it! Here's what I have read. I wrote a full post about this so I won't stay here too long, but it was a very good read. Andrea is 40 something and single, living in New York. I so loved the author's tone and she did a great job sharing relatable stories for women in all phases of life. It reminded me of a lighter version of Bad Feminist by Roxane Gay. I'll admit- I love Shonda. I'm a huge fan of How To Get Away With Murder and Scandal, and can remember watching Grey's all the time back in the day. Her mind is ridiculous! So I was excited to finally read this one. I thought it was good- she writes like she's talking to you directly. She is unapologetic about her success and it's so refreshing. Her tone in this book is very similar to how her characters speak, especially from Grey's. I loved hearing about her relationships with the actors that play Christina and Meredith, but what I loved the most was when Shonda shared her own struggles. She's a very strong, interesting woman. I flew through this book. 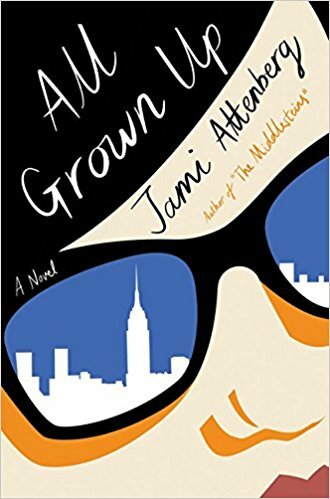 I don't think I'd say it was my most favorite memoir of all time, but if you're looking for a light, entertaining, and inspiring read, then you might want to pick it up. This was another really good book I read this month. I received The Cutaway as an ARC, and I loved that it was a debut from the author. 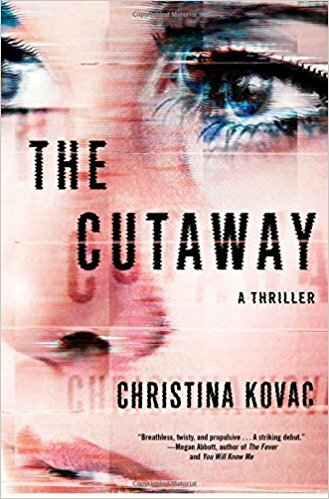 Christina Kovac works in news herself, so the protagonist of The Cutaway, Virginia Knightly, read very authentic. Virginia is a head producer and sees a lot of news stories, but the recent story about a missing young DC woman has caught her eye. Something doesn't check out and she uses her photographic memory to help uncover clues. It sounds a bit standard as far as crime mysteries go, but the protagonist was compelling and there were a few twists along the way. Reminds me of a DC Tana French novel. Full review here. Honestly, this book is the biggest disappointment for me so far. It was marketed as "The Martian meets Station Eleven" and ... I'm not seeing it. The Wanderers is about 3 astronauts who are set to be the first humans sent to Mars. It's also about the people they left behind. Before they can set out on their trip, they need to attend a lengthly training in Utah, and its truly a test of endurance. The book gets into an in depth look into the psyche the characters. It's heavy on character development and light on plot. I'm sad that I haven't been loving it! This was a pick for my TBR + TBD list from March. I am almost finished with this book and will definitely write a full review. That's it! I have to go through everyone else's posts to get some good recommendations. I'm in a bit of a slump!